Our standard alpha replacement overlays are the perfect solution for those worn keys or just to brighten up your keyboard. The overlays are completely opaque so they cover the original key legend. They are available in black letters on a white background. Extra keys for the backspace and backslash (\) are included for different keyboard styles. 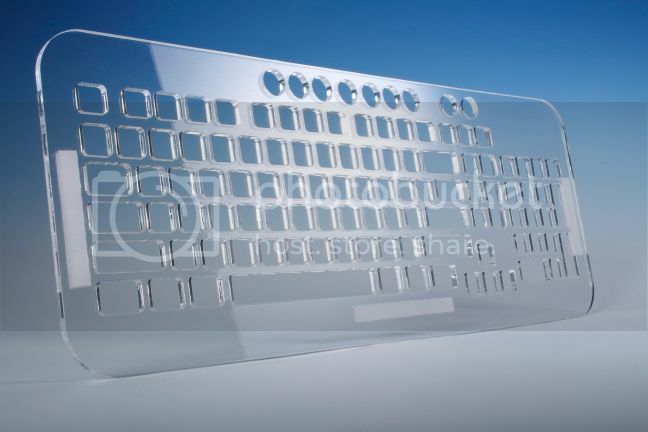 Stickers are manufactured of durable Lexan®. They won't tear, crack, discolor, or slip off even after years of use. The sticker adhesive firmly attaches the sticker in place without damaging the keyboard key or the original key legend. The adhesive will not ooze, harden or wear out. All printing is on the reverse side of the sticker (i.e., underneath) so that the printing will not rub or scratch off in normal use.